Ernst's Economy for you: The day after the Brexit before. 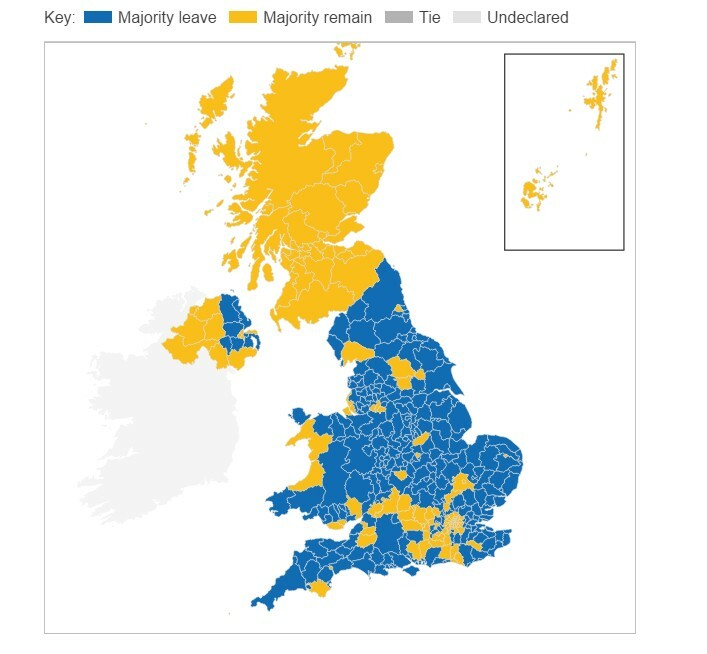 Even in hindsight, June 24th, 2016 will turn out to be a historical day for the European Union as well as the United Kingdom. At least it will be remembered as the day that the unthinkable happened: the EU referendum – the ‘political-firework-toy-to-buy-time-from-his-fellow-Tories-and-remain-in-charge’ of the reckless and weak Prime Minister of the United Kingdom David Cameron – blew up in PM Cameron’s face with an enormous bang that could be heard at the far outskirts of the European Union. 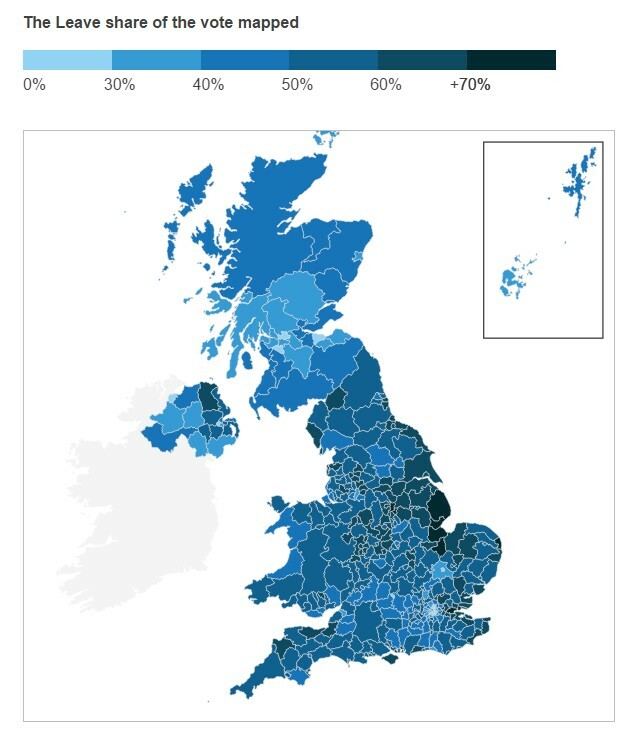 With almost the closest of majorities (roughly 52% against 48%), the British population decided to vote in favour of a Brexit, thus leaving the whole European Union, the international stock exchanges and most journalists of the main stream European media, in shock & awe frantically asking themselves “where did that came from?!”. This total bewilderdness was not restricted to the 27 remaining countries of the European Union. Also the 48% within the United Kingdom itself, that wanted to remain in the EU, could not believe their eyes. for the streetfighters Nigel Farage and Boris Johnsson, against the timid and gentleman-’ish’ PM David Cameron. As I predicted on a number of occasions, the referendum meant indeed the immediate end for the political career of David Cameron, as he stepped down within hours after suffering this devastating loss on this ‘beast that he could not control anymore’. Where everywhere the populists celebrated this event as the ‘first domino in a row of 28 to tumble’, the more moderate politicians licked their wounds and asked themselves where it all did go wrong. The simplest answer to this question is probably that the EU lost sight on its main goals and ‘raisons d’etre’: maintaining stability, peace, security and justice for all people living within Europe, through mutual understanding, cooperation, friendship, free trade and open borders. During the last thirty years the EU had slowly morphed into a toy for neoliberal politicians and free market addicts, who declared one of the goals – free trade on an open, borderless market – to be the single goal that counted for the European Union, thus dearly neglecting the other, more political goals. From a political achievement ‘second to none in the world’, which required the most attention and the best leadership available, the EU turned into a ‘dairy cow’ (for high profile jobs, agricultural subsidies, structure funds and other mutual investment funds), as well as the perfect ‘scapegoat’ for the dissemblement of errors and misjudgments that national leaders and politicians made. It was always ‘we did’ in case of political successes for the national leaders and ‘the EU did’ in case of the political failures that had to be sold to the national grassroots. In the latter case, the losing politicians always seemed to ignore that they had been an integral part of the decision-making process; as if they were just innocent bystanders, who had nothing to do with the whole conundrum. The European Council had often a nasty habit of appointing ‘grey mice’, technocrats and ‘apparatchiks’ for the leading functions within the European Union: these seemingly interchangeable technocrats did not distract any attention from the ‘more glamourous’ national leaders, who were always in the forefront when the real decisions had to be made. Or in fact finished, as the vast majority of the work already had been done by countless civil servants, who ironed away all the initial folds between the EU countries. This was all probably out of self-defence for the national leaders in Europe, who did not want to stand in the shadow of their European peers. The European Commission, the President of the European Council, the High Representative for Foreign Relations and the leader of the European Parliament all became harmless, unconspicuous people who looked at things in a distant, technocrat and unpoliticized way and did not offend anyone else in the various forums, by expressing overly strong opinions or by attracting too much attention. The biggest drawback of these very useful, but unconspicuous ‘paper soldiers’ in the European Commission was that they failed to prompt sympathy, compassion and understanding among the populations in the various European countries. And – perhaps even worse – a mutually shared feeling that they were busy in Brussels on OUR behalf, defending OUR mutual interests as European citizens, against the rest of the world. The European Commission became the commission of the ‘curved cucumbers’, the prohibited plastic bags and the stockpiles of technocratic legislation that nobody understood. In other words: while their unconspicuousness was perhaps a recipe for better cooperation within the offices in Brussels, it proved to be a disaster for emphasizing the importance of the European Union itself. It left the latter as a source of vast financial spillage, useless legislation and annoyance for the Europeans: the fall guy for all poor political outcomes and failed negotiations. Take for instance the European Parliament: this parliament has been the playing ground for many ‘second grade politicians’ who were side-tracked on their own home turf, calculating job-hunters and money-collectors and (more recently) European Union-haters, who wanted to make their point while screaming it out to their fellow MEP’s. Although there are many, many compassionate and very good politicians from all European countries in the European Parliament, everybody unfortunately remembers the poor ones. The European Parliament almost never made a lasting impression on the European citizens, even though the parliament took many important decisions. This fact can be simply checked by looking at the number of people in all European countries, who casted their vote in the last European elections. For the European Commission, the situation is even worse. The European Commission is undemocratic to the eyes of many and is blamed for almost everything that is wrong about Europe. Hardly anybody can name more than one or two commissioners and tell what their function is. This turns these commissioners in nameless, faceless threateners of the European democracy, as represented by the nation states. But please think about this: who put these people in charge there? Was it all a French-German conspiracy? Was it maybe Saddam Hussein? Were it creepy representatives of one of the American secret services? Were it perhaps the Borg from the Star Trek series?! Of were it our own national leaders...?! Président François Hollande, Chancellor Angela Merkel, but also PM David Cameron, PM Mark Rutte (Netherlands), PM Matteo Renzi (Italy), PM Marian Rajoy (Spain), PM Alex Tsipras (Greece), President Andrzej Duda (Poland) and 19 other presidents and prime ministers of European countries. That is exactly the point: these Euro-commissioners have all been put in charge by our own leaders, for exactly their unconspicuousness and their substitutability and their ability to keep a relatively low political profile. Tomorrow: what can be the remedy for the current political conundrum with respect to the UK and the remaining members of the EU?